Our marketing team decided to celebrate the release of over 100 RTV ShutterBots into our virtual tour provider network by making you a new handout announcing your new service. What is a ShutterBot? Our marketing team has created a brilliant, eye-catching virtual tour marketing piece for you to customize, finish off and distribute in your service area. This new piece allows you to show off your new level of photography quality while maintaining some mystery behind your skills. As you know our marketing team strives hard to make sure your virtual tour company is armed with the most up to date and effective marketing pieces to help grow your virtual tour business. If you have a piece in mind that you would like us to tackle just drop us a line and we’ll get right on it. Enjoy the new marketing materials and see you on our next show! Login to http://www.RockPointeMarketing.com today and snag this amazing new flyer! Anyone who has been in or around real estate for any length of time knows that the three top factors in selling a home are location, location and location. One of those locations is, of course, the neighborhood where the house is sitting. Today, the second-most-important location is the internet. Visibility online is prime real estate. The internet has surpassed signs to become the number two way buyers are finding the homes that they eventually purchase. All homes need to be widely visible on line, not just the ones priced over $250,000. First-time buyers and empty nesters are searching on line – and not for large homes. On the internet the top three factors for buyers are pictures, pictures, and pictures. A virtual tour of your home is one of the best ways to claim that space – on the net and in the buyer’s head. Buyers want pictures; and they especially want a virtual tour. They want to virtual tour the home without having to spend precious time and expensive gasoline driving from home to home. They want to be able to narrow down which homes they want to give their special attention before they walk out the door. If they have insomnia, they can virtual tour the home at 2:00 am. A buyer can see a lot more homes on line during their lunch break if they use the internet than if they go out driving around. Four Seasons Virtual Tours, in partnership with Real Tour Vision (RTV) the World leader in Virtual Tour Software, has been providing affordable virtual tours and slide shows for real homes located in Valparaiso, Crown Point, Hammond, Munster, Schererville, Lowell, Chesterton and many other communities in Lake, Porter, La Porte, Jasper and Newton counties in Northwest Indian since 2006. We produce HDR, full screen tours that can be uploaded to the MLS and personal websites. However, the MLS isn’t the only internet location where your tour should be visible. You need much wider coverage than that. We also offer our Internet Optimizer package that will get your home on Craig’s List, Zillow, Trulia, Homes.com, and many more sites on line. Can potential buyers find your listing on the internet? Call Four Seasons Virtual Tours and claim your virtual location on the web. RTV has boosted my client base in my Real Estate Market and now I am making steady money by creating superior 360 virtual tours! I bought a Real Tour Vision complete virtual tour software kit a couple of months ago after the agent who used to produce our “virtual tours” left the company. Little did we know her leaving would be a HUGE benefit to Arlington Properties. I bought the RTV package and NC Home Tours has been producing all virtual tours for Arlington Properties, ever since. Not only does NC Home Tours produce a product that is infinitely superior to what we were used to offering, but now I use my virtual tours to pick up new clients from the for sale by owner market. Offering a Panorider and single property website greatly increases there marketing potential, and if they are interested in using a Realtor down the road, I have already shown my commitment to excellence and I hope they will call me for that service as well. Being able to show future clients my amazing HIGH DEFINITION VR Tours is a great marketing tool and everyone loves the weekly and on demand tour hit stats. By posting virtual tours on the www.arlingtonpropertiesinc.com home page we are maximizing the exposure of every home that is listed with Arlington Properties. I have always prided myself on giving people a top quality product and maintaining honesty above all else in my business. I now offer clients, associates, and for sale by owner customers incredible marketing tools at a fair price. I can’t thank the Real Tour Vision staff enough, especially Jason and Ben, for getting me started in this wonderful BOOMING virtual tour industry. I look forward to years of association and years of providing the best virtual tour in North Carolina. Call me a diva but I am happy to admit that I love living the” good life”. I love traveling all over the world, staying in the nicest places, eating fine food. I love being pampered, waking up and knowing that I don’t have to make the bed or wash my dishes. I love vacation and adventure and excitement. This year, we have photographed virtual tours in 26 states and have done quite a bit of rehab center photography and have had so many amazing adventures along the way that a friend at church was watching our Facebook posts and asked our pastor if one of us was terminally ill. He said it looked like we were checking off a bucket list! Nope, just living the life of our dreams at our leisure. The conundrum is that as small business owners, we don’t always have the budget or the time to do all the things we love. We made the decision early in our relationship that we would live within our means. For us that means we run our life and our business on a cash only basis – no credit cards or loans. We give 10% of our pre-tax, pre-expense income to charity and reinvest most of our profit back into our business. You might ask how is it that we have stayed in villas and luxurious bed and breakfasts and mountain top cabins and flown in acrobatic bi-planes and eaten in fine restaurants and gotten massages? 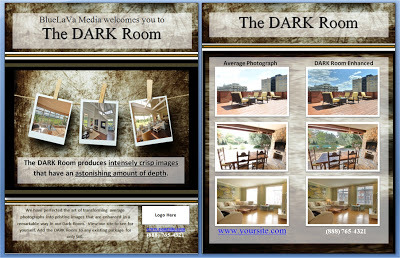 We calculate what we would charge for a virtual tour and then calculate what we would pay for that business’ services. If there is a difference, then we invoice or expect to be invoiced for the difference. Bartering should be a fair exchange of services where both people get the same value for their part of the barter. If we are offering a $400 virtual tour for a restaurant, then we need to be mindful of what we order…it’s not fair for us to provide a $400 value and then run up a $500 dinner tab. I learned the hard way to clarify in writing that we are bartering for their lowest price room. We bartered with a bed and breakfast and when we arrived, they upgraded us to a private two bedroom villa because it was mid-week in their off season and the whole place was empty. We were thrilled with our good fortune until we got ready to check out and were expecting to receive a rather substantial check. The owner expected that since they were upgraded to a villa that would have cost $300 a night, then our charge would be waived. Bartering is a great way to experience things that your budget would otherwise not allow. There’s no guarantee that a business will be interested in trading services but if you don’t ask the question, the answer is definitely no! Please allow me to introduce myself on behalf of Net Visual Tours, an Austin Texas Virtual Tour Company. My name is Daniel Rodriguez, owner of Net Visual Tours. Net Visual Tours is a Virtual Tour company proudly serving the greater Austin & San Antonio, TX area. We provide professional, high quality Interactive Photography for Commercial and Residential properties. Net Visual Tours is dedicated to client satisfaction, fast turnaround and personable customer service. We are proud and passionate regarding every virtual tour and place high attention to detail quality to our work. We can showcase your Real Estate, Commercial Property, Apartments, or Commercial Showroom at its best 24/7. Over 85% of online shoppers are researching prospect homes and researching business representation. Make your presentation count, turn prospects into clients! Whether you need a professional Virtual Tour, professional still photos or an amazing slide show, Net Visual Tours can customize and market your project for success! Net Visual Tours is proud the be a member of Real Tour Vision, the #1 ranking virtual tour company and software provider in the World. I provide the highest quality virtual tours on the market that are designed to professionally distinguish your listing or local business at its very best by specializing in HD 360 Virtual Tour Photography. With the power of today’s technology combined with our attention to detail & quality, we offer a very competitive – or I can even go as far as saying the best valued Virtual Tours in South Texas. In this challenging real estate market, the proper presentation of listings it is crucial… set yourself apart by presenting a cutting edge, authentic view of your property or business.